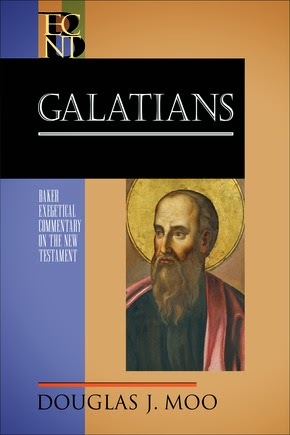 I hope to pick up a copy of Doug Moo's new Galatians commentary soon. But until then I will have to be content with this PDF excerpt. This excerpt contains a very good treatment on the the issue of whether the Jerusalem visit of Galatians 2:1-10 should be equated with Acts 11:27-30 or Acts 15:1-29. I also happen to agree with Moo's conclusion. Moo is right about the south Galatia destination, but wrong to equate Gal 2 with Acts 11. He points out that the meeting in Gal 2:2 was private. Why must we assume that Paul had only one meeting with the Jerusalem church leaders during his visit to Jerusalem? Isn't it likely that he would have a private meeting with the leaders before setting up a meeting with a wider audience? When did anyone ever travel hundreds of miles over many days to have just one meeting? He also makes much of the fact that Paul does not mention the decree. He fails to realize that the Galatians already knew about the decree (Acts 16:4). Everyone knew that the Jerusalem church leaders were against circumcision (for Gentiles). His third argument is Paul's silence about the famine visit, but he fails to understand Paul' purpose in these chapters. The rumour in Galatia is that Paul believes in circumcision and that Paul preached against circumcision just to please the authors of the decree. In Gal 1:10-2:14 Paul's purpose is to show that he has no history of preaching things just to please the church leaders. To this end he points out that he did not go up to Jerusalem for three years and that he was known as a preacher before he had even met the Judean churches. In 2:1-2 he explains that he was not even sure that the pillars would agree with his gospel (his point is that he can't have been preaching it to please them). Paul's point in 2:1-10 is the same as in 1:10-24, but that point is not that he had had little contact with Jerusalem; it is that his denunciation of circumcision is sincere because he has no history of trying to ingratiate himself with the Jerusalem church leaders. The famine visit is irrelevant to Paul's point so he does not mention it. I may have mentioned these points to you before, but they need to be addressed. Incidentally, Keener goes for Gal 2 = Acts 15 and south Galatia. I actually think Moo is right on both counts but I don't have the time to debate the point now. I did want to acknowledge your comment though.